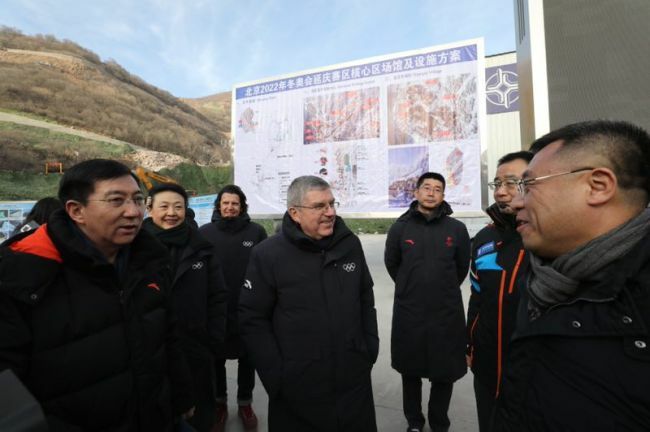 Thomas Bach, the president of the International Olympic Committee, was in Beijing on Tuesday inspecting competition venues for the Beijing 2022 Winter Olympics and gave the organizers the thumbs up for their preparations so far. Bach visited Zhangjiakou in Hebei Province and Yanqing district in Beijing, which are two of the three sites for the upcoming Games. A total of 24 competition and non-competition venues will be used during the event, including eight in Zhangjiakou and three in Yanqing. "The organizing committee is doing excellent work. We see very thorough and detailed planning. We see all the schedules are respected so far. It's the Chinese way. We are really very sure about the completion of the work at the right time and also the success of the Olympic Games," said Bach. The Olympic committee president also spoke highly of China's efforts to encourage 300 million people to take part in winter sports. "We can see the great progress, but what is even more important is we can see the plan raised by Chinese President Xi Jinping to make 300 million people familiar with winter sports obviously already works. We have met many children who love winter sports. We have seen athletes practicing winter sports. We have seen the halfpipe and other slopes which are already hosting the World Cups. 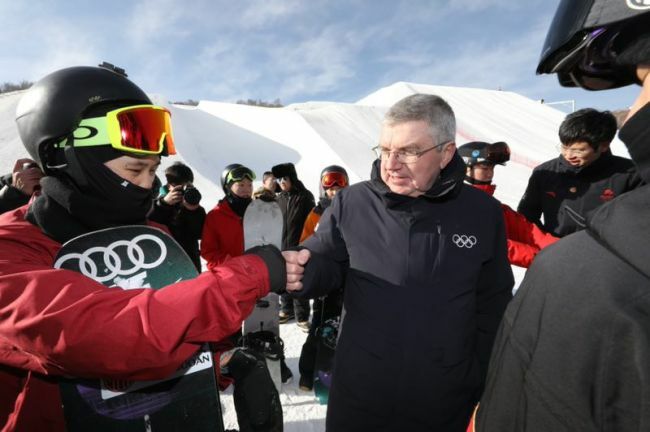 The progress is really impressive," Bach told Xinhua after visiting the Zhangjiakou and Yanqing competition zones. According to official statistics, by October more than 800 ski facilities had been built in China, and about 50 million people in China have gone skiing at least once.